A stationery collection inspired by England's two most famous universities, Oxford and Cambridge. The collection comprises: a set of three pocket notebooks from Cambridge Imprint, one lined, one squared and one plain; a blue ballpoint pen from Goodeehoo; two Uni-ball pens (did you see what we did there? 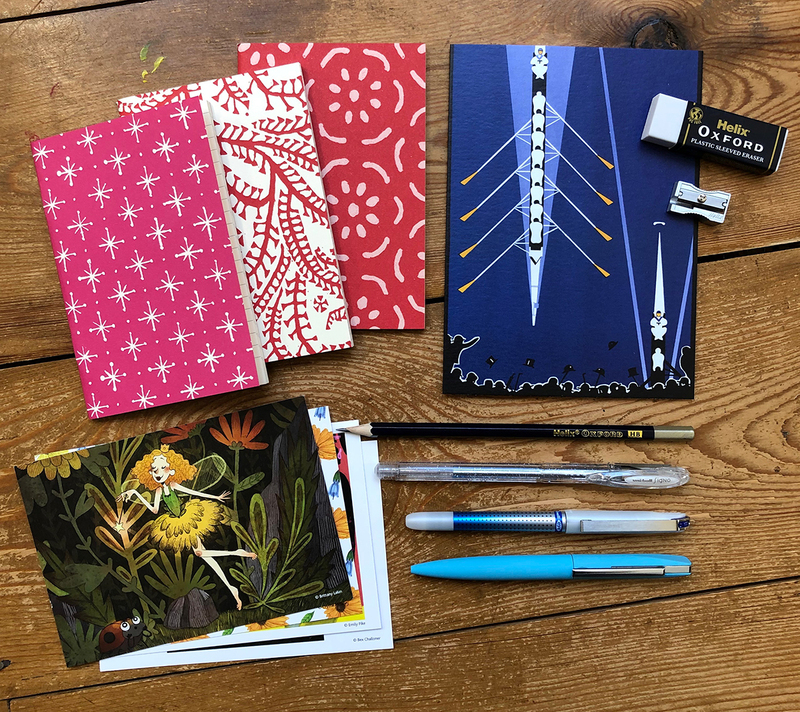 ), an Eye needle pen and a silver Signo with glitter ink; a pencil, eraser and sharpener From Helix Oxford; a varsity boat race greetings card from Museums & Galleries and aour latest set of exclusive illustrated postcards.